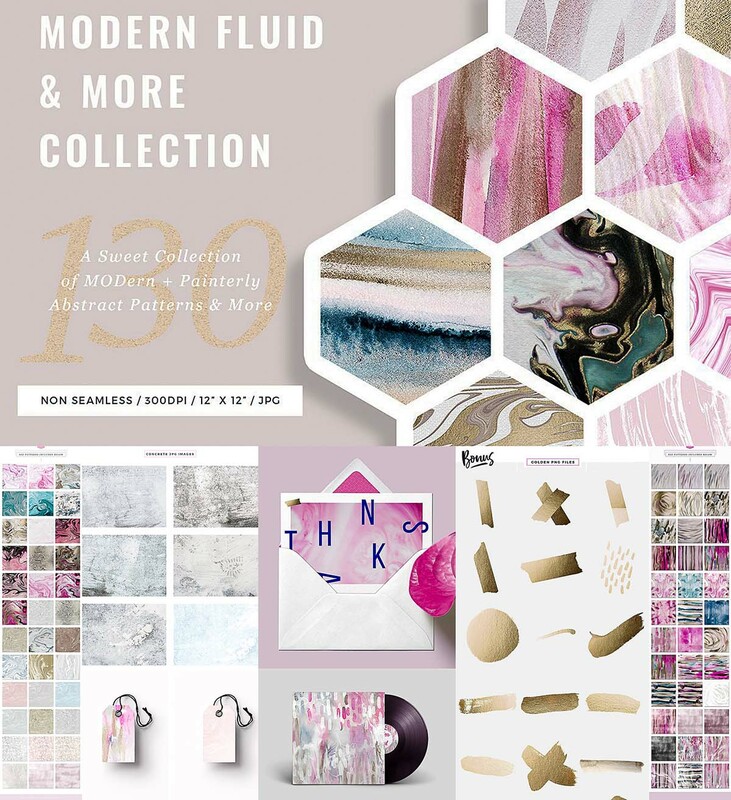 Set of 130 modern fluid non-seamless patterns with 50+ unique individual designs. Some ideas for usage include: Backgrounds for your product mock-ups, visual branding, unique labels, tags, spruce up your blog posts and website or social media posts, stationary design, packaging, poster design, creative art collages, product previews, announce a sale or new promotion, and more. File format: .png, .jpg for Photoshop or other software. Tags: abstract, art, fluid, liquid, marble, paint, pink, texture.